Titan Black | Mitsubishi Materials Electronic Chemicals Co.,Ltd. 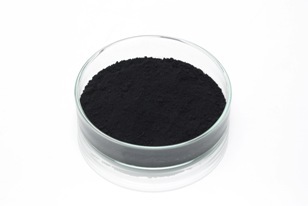 Titan Black is a new material in the category of titanium oxide type pigment. Its unique properties deliver a variety of physicochemical performance. 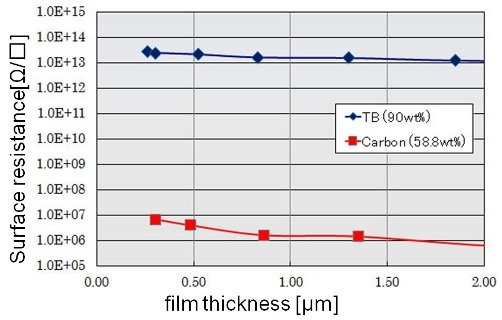 We developed Titan Black by controlling oxygen content. Titan Black is a pigment with small particle diameter, high hiding power, nonmagnetic properties, and high dispersibility in water and also in organic solvents. We provide two types of pigments: Type M, characterized by its conductivity (adjusting electric charge, etc.) and Type S, characterized by its superior hiding power. We offer an exceptional inorganic pigment of a bluish-black color with an L value of approximately 11 and a specific surface area from 10 to 25m2/g. 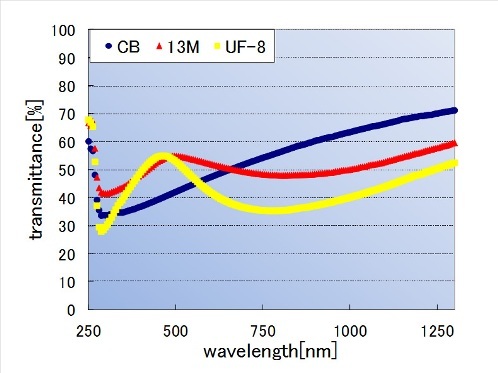 The average Type S primary particle size is around 60nm (0.06μm), while the average Type M primary particle size is in the range of 80 to 100nm.